Canada’s new Prime Minister Justin Trudeau has promised change, and that includes new names for some key government departments. Citizenship and Immigration Canada is now called Immigration, Refugees and Citizenship Canada, in a likely bid to emphasize Trudeau’s pledge to resettle 25,000 Syrian refugees. Environment Canada has been renamed Environment and Climate Change Canada. One of Trudeau’s key campaign promises was to engage in international efforts to tackle climate change and show the world that Canada is serious about environmental issues. Meanwhile, Foreign Affairs, Trade and Development Canada has been renamed Global Affairs Canada. 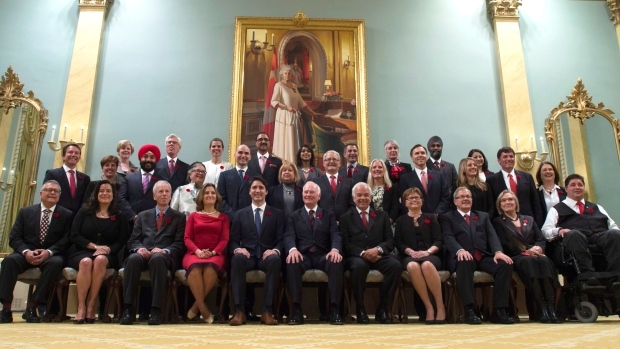 Trudeau has also given several of his ministers additional responsibilities. For example, Innovation, Science and Economic Development Minister Navdeep Bains is now also responsible for several regional economic development agencies, while Heritage Minister Melanie Joly is responsible for multiculturalism and the Canadian Race Relations Foundation. Canada Post, which put on hold its plan to end door-to-door mail delivery across the country once the Liberals were elected, is now the responsibility of Judy Foote, the minister of Public Services and Procurement. Another notice posted on the Privy Council Office’s website states the list of cabinet ministers who would succeed Trudeau in case he is unable to perform the duties of his office. Public Safety Minister Ralph Goodale is at the top of that list, followed by Agriculture Minister Lawrence MacAulay and Foreign Affairs Minister Stephane Dion.